Directions from Myrtle Beach & North Myrtle Beach: Take Highway 17 North. Go through North Myrtle Beach. Go over the Intracoastal Waterway Bridge, staying on 17 North towards Wilmington. Proceed 3 miles to the 5th traffic light, turn right onto Mineola Avenue. Go 1/2 way down the street and look for the Sea Screamer parking sign on the left. Walk towards the waterfront to Captain Juel’s Hurricane Restaurant. Enter restaurant for check-in and boarding pass. Faster access from Myrtle Beach: Take Highway 31 North to the end at Highway 9 South (North Myrtle Beach). Go through 1 traffic light and take the next exit toward Wilmington/Little river. Turn left at the light and go approximately 1 mile and bear right at the next traffic light. Go 2 miles to the 4th traffic light and turn right onto Mineola Avenue. Go 1/2 way down the street and look for the Sea Screamer parking sign on the left. Walk towards the waterfront to Captain Juel’s Hurricane Restaurant. Enter restaurant for check-in and boarding pass. Directions from Myrtle Beach & North Myrtle Beach: Take Highway 17 north and travel through North Myrtle Beach. Take the Cherry Grove exit on the right side of Highway 17 immediately past the North Towne Center. Keep to the left at end of the exit ramp. Turn left onto Sea Mountain Highway. Turn right at the traffic light onto Little River Neck Road. Immediately on left (~ 100 yards) watch for the Sea Thunder Dolphin Tour sign. Take a left into the parking lot and drive towards to large American flag. Follow dolphin signs the check-in office. Faster Access from Myrtle Beach: Take Highway 31 North to the end at Highway 9 South (North Myrtle Beach). Bear right at the first traffic light onto Sea Mountain Highway. Proceed through the next traffic light and cross over the Swing Bridge. Turn left at the traffic light just past the bridge onto Little River Neck Road. Immediately on left (~ 100 yards) watch for the Sea Thunder Dolphin Tour sign. Take a left into the parking lot and drive towards the large American flag. Follow dolphin signs to check-in office. Directions from the North: Take Highway 17 south through Little River to North Myrtle Beach. After crossing the Intracoastal Waterway bridge take an immediate right at the Cherry Grove exit and keep left. Turn left at the stop sign. Turn right at the traffic light onto Little River Neck Road. Immediately on left (~ 100 yards) watch for the Sea Thunder Dolphin Tour sign. Take a left into the parking lot and drive towards to large American flag. Follow dolphin signs the check-in office. 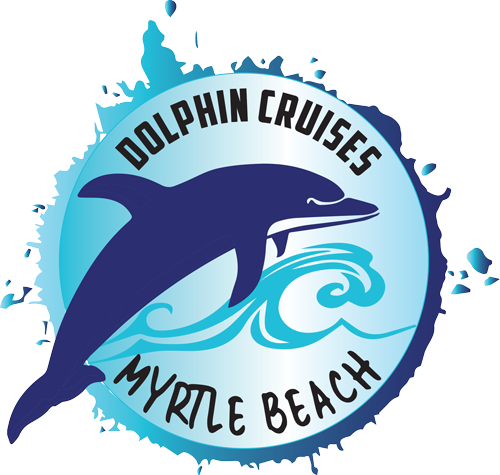 Copyright © 2019 Myrtle Beach Dolphin Cruises. All rights reserved. Will go into ocean if sea conditions allow other wise we have a great spot to see fireworks from the waterway.